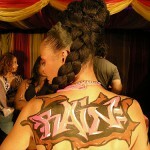 Homage to Philly Body Painting Shoot! I did a backdrop for Phil at Studio 308 in Manayunk (Philly) a few months ago and I was thrilled when he said he had a model that wanted to do a body painting shoot with me. It’s always fun for me to work with new people! He sent me Rachel’s info and we came up with the concept to do a “Philly Themed” Shoot. I got references but I wanted to give it a bit of a street flavor and twist. The shoot was a lot of fun and Rachel and Phil were cool and fun to work with. 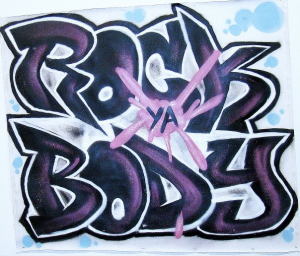 Welcome to Rock Ya Body!